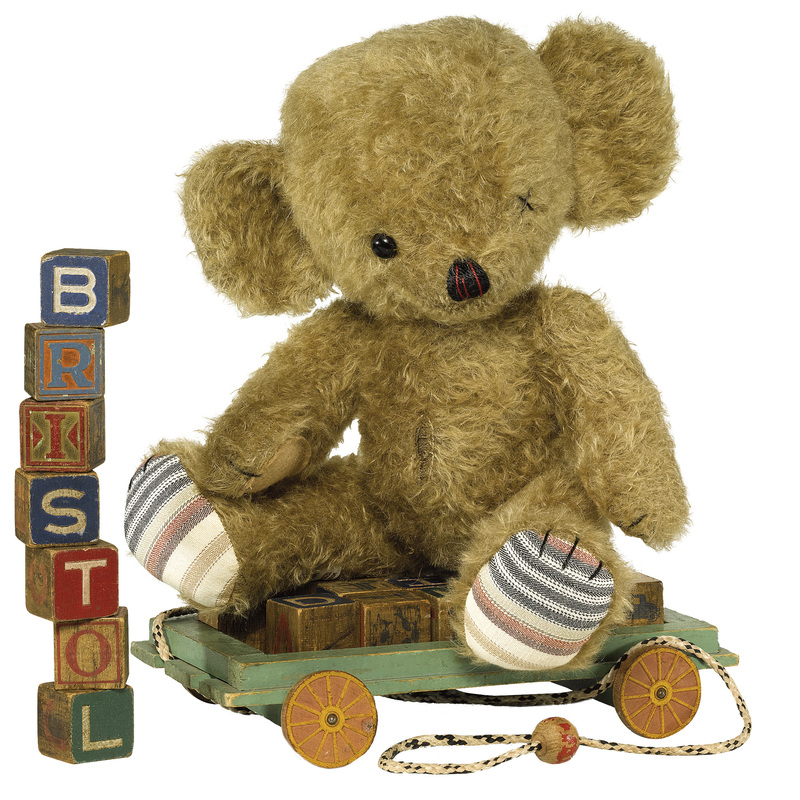 This is Merrythought’s fun interpretation of Bristol bear. Made of sparse and curly, caramel mohair with striped canvas foot pads, Cheeky Bristol has one black button eye and two stitches ‘where the other was’. He has a black and red thread nose, felt hand pads and is pellet filled. Very huggable!